Paul Benner, 33, was reported missing by his family after he did not return home, according to the Coast Guard. Rescue crews in Maine have suspended their search for a man who went missing while on a clamming trip near Long Cove Thursday night during a massive snowstorm that battered the region. Paul Benner, 33, was reported missing by his family after he did not return home, according to the Coast Guard. Crews found an unmanned skiff that matches the description of the boat he was in. Friday night, the Coast Guard announced that the search for Benner had been suspended. The missing man reportedly left the Long Cove boat ramp at 5 p.m. to clam on Clark Island. The Coast Guard, Knox County Sheriff's Office and Maine Marine Patrol searched the area for Benner Thursday night around 11:30 and continued their search Friday morning. 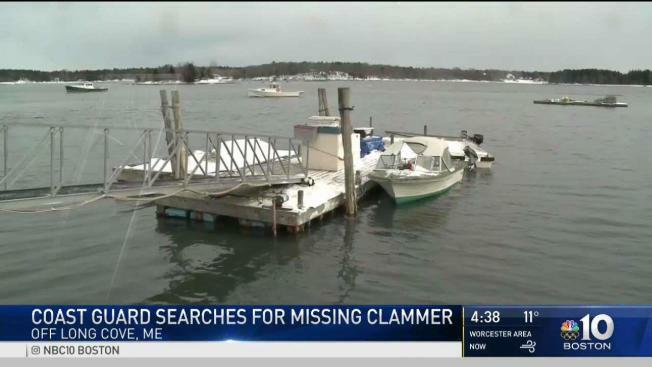 According to WCSH, officials say Benner is not a commercial clammer. Benner's parked car was also found near where he launched his boat. The Coast Guard says seas in the area are about three feet and the water temperature is about 37 degrees. Editor's note: The Coast Guard initially identified the clammer as 35-year-old Paul Brenner, but later identified him as 33-year-old Paul Benner.